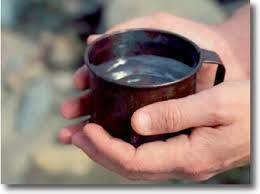 Nearly one billion people worldwide lack access to safe drinking water. Most are in undeveloped or underserved portions of the world. Hope for Congo has researched various methods to bring water to the villages we serve in the Democratic Republic of Congo. The Village Drill is our choice for the job. 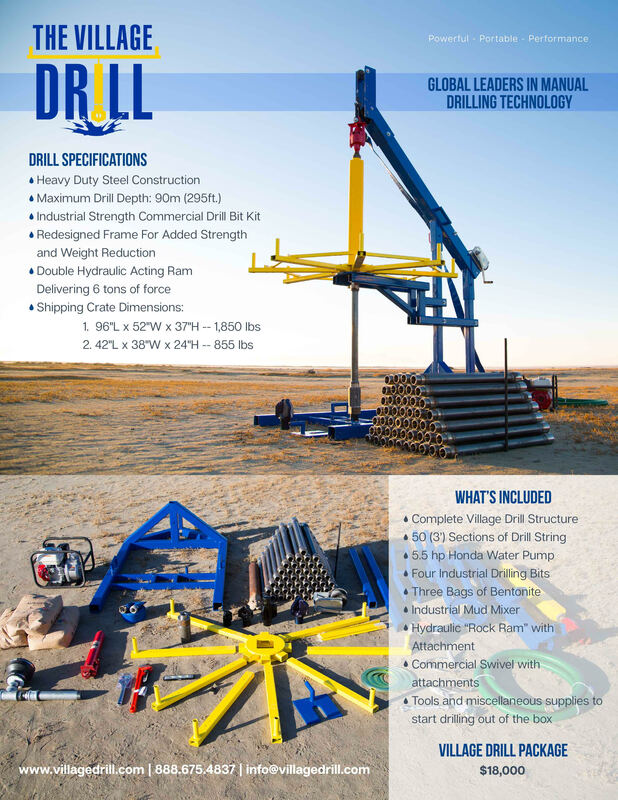 The Village Drill was engineered to offer affordable, reliable access to borehole drilling technology for the developing world. It can drill through most substrates including rock to a depth of 250 feet. All this can be done manually using mechanically simple and efficient equipment that can be broken down and transported easily from location to location. Hope for Congo received a $20,000 grant from the Schowalter Foundation to purchase a Village Drill. We are excited about this opportunity to bring life-saving water wells to the DRC using this drill. Hope for Congo needs to raise an additional $20,000 to begin drilling. Our goal is to begin drilling our first well in early 2019. We encourage you to give what you can . . . be it a small or large amount. Please give according to your ability. We have a tremendous opportunity to serve King Jesus as we give our thirsty Congolese brothers and sisters access to safe drinking water. We encourage you to share this opportunity with your friends and family and your local church so they too may participate in blessing these villages. In the area that opens, please note you wish your gift to be given to Hope4Congo and tell us where you wish your donation to be used. For example: Village Drill, Farm to Market, Bible, etc. or wherever needed most.